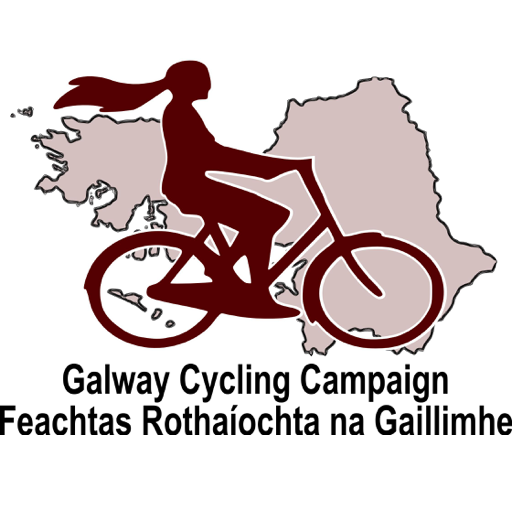 Here you can post information of where you think is a good cycle route in Galway. This can help other cyclists who may be unaware of shortcuts, good road surfaces, favourable traffic conditons or something else that makes a particular route a good one. If you’re travelling from Taylor’s Hill or Salthill in to town, there are quite a few options and shortcuts, depending on preference. Routes by Fr Griffin Road, Munster Avenue, Sea Road, Palmyra Avenue / Raleigh Row, and St Mary’s Road all have their pros and cons, and some of them allow for detours by the canal. The dual cycle/walkway from Nimmo’s Pier to the Mutton Island causeway is a route I often take. Its advantages include a smooth new surface, pleasant surroundings (grass, wildlife, etc. ), sea air and temporary relief from the noise and fumes of motorised traffic. On the down side, it’s a bit circuitous if you’re in a rush, it starts and finishes at sets of those ridiculous gates, many pedestrians are oblivious to the dual nature of the track, and broken glass – though a relatively rare occurrence there – won’t be swept up for ages, if at all. Hi Stan, Ya agree with on the South Park Gates – Laughable. A good spanner would fix this problem. Those Gates should be removed and the Bolts sent into the deep blue. Would leave the Gates to the Side of the Wall. Would be interesting to see how quickly the bolts would be replaced and the Gates put back. Might need some kind of plastic cover to go over the galvanised hinge for the gate. So people would not get caught on it. Any ideas for this? There is a good shortcut through Highfield Park from Taylors Hill – rather than using Maunsells Road. Same between Rockfield Park and Claremount. Useful if one wants to avoid the Junction on Bishop O’Donnell if one is heading up towards Rahoon Cemetry or Knocknacarra. Also useful if coming from Knocknacarra/Rahoon heading towards town or NewCastle and want to avoid the traffic clogged Bishop O’Donnell Road, but then you would miss out on the joy of overtaking all the static cars on the Bishop O’Donnell Road waiting on the traffic lights! going to stay in Galway for 3 days. We will be looking for a place to rent bicycles and spend a couple days touring around hope to peddle at least 30-40 kms. any recommendations?